When the whole family says: “We need a vacation!” you may want to consider booking a stay at a Brown County Indiana Log Cabin, Vacation Home or Country Resort. 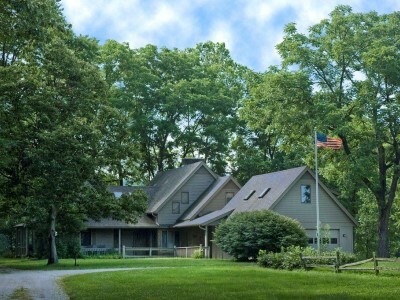 There’s room for the whole crowd in some of the largest vacation homes in southern Indiana so pack up the car and head to Brown County Indiana for some well-earned R & R.
We’re certain that the youngsters, boomers, and even seniors in your tribe will enjoy splashing around, while the appointed chef flips burgers and brats on a grill. Other outdoor activities include dropping a line in a fishing pond, or hiking around in the woods surrounding a cabin. If your crew is into pitching horseshoes, some cabins have a horseshoe pit on site; and at many cabins a basketball goal stands ready for a game of “shirts vs. skins”…but remember to bring your own basketball, please. We have vacation homes that have 4 bedrooms to ensure that everybody has a cozy place to sleep. If you’re still looking for even more entertainment opportunities, venture into Nashville, Indiana (approximately 8 miles south) to visit the many shops, galleries, and restaurants. There are also fun activities such as horseback riding, hiking, mountain biking, ziplines, ATV tours, and multiple locations for live music; as well as a movie or a play at the Brown County Playhouse. Brown County Indiana is certainly endowed with lots of beautiful scenery and enjoyable things to keep you occupied. 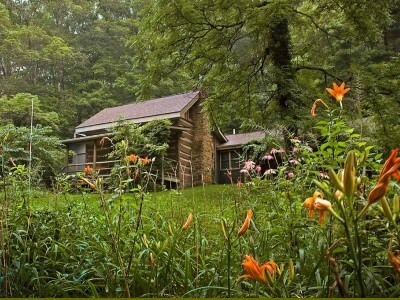 Wonderful vacation homes and log cabins in Brown County Indiana. Many with hot tubs, fishing ponds and game rooms. Bring the kids, bring the grandparents, bring the family dog. Come in the summer, come in the winter. There is always something to do in Nashville, Indiana or nearby Bloomington, Indiana. Great honeymoon and Brown County Wedding locations.